The Beautiful Life Online: 1.04: "THE BEAUTIFUL TRIANGLE" SYNOPSIS! TBL Online is not affiliated with The Beautiful Life cast, director's, producer's or The CW. TBL is owned by The CW television network. All images and information on this fansite belong to their respective owner's -credit will be given where neccessary. 1.04: "THE BEAUTIFUL TRIANGLE" SYNOPSIS! Ed Quinn ("True Blood") guest-stars. Raina (Sara Paxton) and Cole (Nico Tortorella) are nervous about the authenticity of their chemistry during their new campaign but loosen up after a little pep talk. 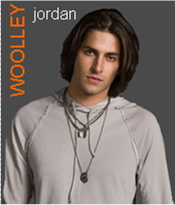 Chris (Ben Hollingsworth) grows increasingly uncomfortable with Raina and Cole's working relationship. Claudia's (Elle Macpherson) husband, Richard (guest star Ed Quinn, "True Blood"), is interested in hiring Sonja (Mischa Barton) to be the face of his cosmetics company's reinvention campaign. In need of cash, Chris takes a job in Alex's (Billy Magnussen) bar, and Marissa (Ashley Madekwe) continues to help attract a crowd at the club. 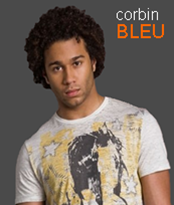 Isaac (Corbin Bleu) starts spending time with Hayley (guest star Natalie Floyd) a new model at the residence, which makes Vivienne (Jaime Murray, "Dexter") jealous.